Can you imagine a world without color? There’s room in every garden for the full rainbow spectrum. 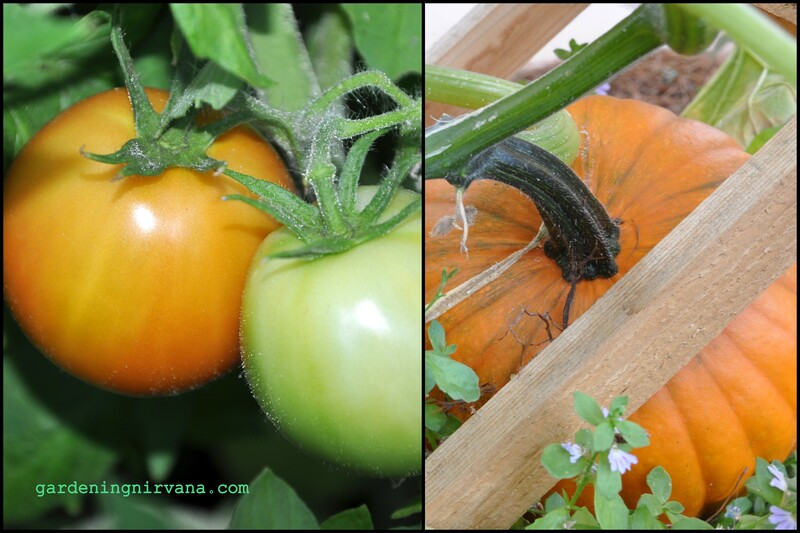 In my post Some Like it Hot, I featured many of the vibrant red, orange and yellow hues of my garden. The cooler range of a primary rainbow includes blue, green, indigo and violet. They’re also my favorites. In addition to providing a cool and lovely contrast to the heat of the garden, the cooler colors serve an important purpose. Green of course is the very backbone of plant life. Plants derive their green color from a pigment called chlorophyll, literally translated as “green leaf”. 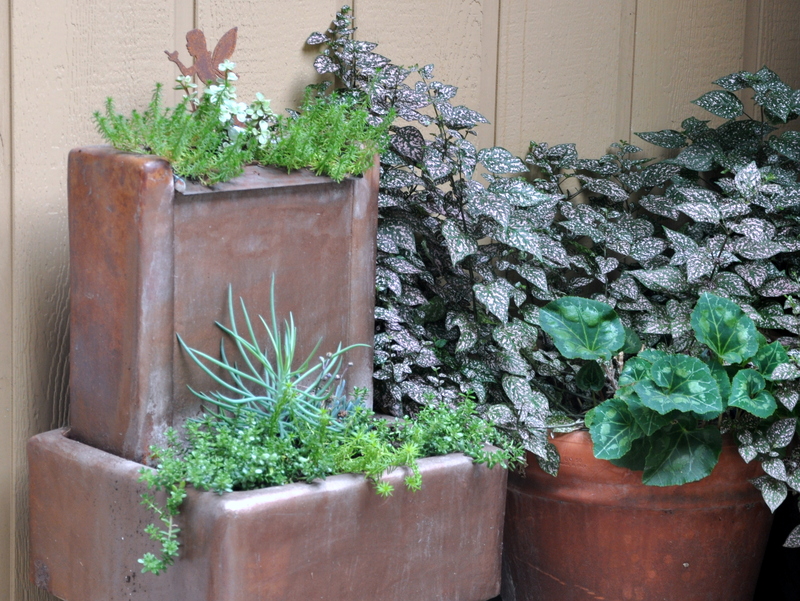 This allows the plant to draw light and energy to thrive. While the bright flowers get center stage, green is working hard in the wings to keep the garden healthy and strong. Green leaves also serve as excellent camouflage for beneficial insects such as praying mantis. Earth tones of brown and grey, provide birds with cover from predators. Purple, violet and blue-like blooms attract bees, hummingbirds, bluebirds, and jays. Perhaps I should add “and gardeners” as green and purple are my two favorite colors. Purple is common in plants, largely thanks to a group of chemicals called anthocyanins. When it comes to animals, however, purple is more difficult to produce. There is no true blue pigment in plants, so plants don’t have a direct way of making a blue color,” Lee said. “Blue is even more rare in foliage than it is in flowers.” he added. “Only a handful of understory tropical plants have truly blue foliage. *Cool as a cucumber – Bloomsbury International. Extremely calm, relaxed and in control of your emotions. This phrase may have originated from the fact that even in hot weather, the inside of cucumbers are approximately 20 degrees cooler than the outside air.How cool is that? Unless you’re an allergy sufferer, you probably love spring. It’s a magical time in the garden when spring colors emerge from winter’s slumber while the birds sing their happy tune. 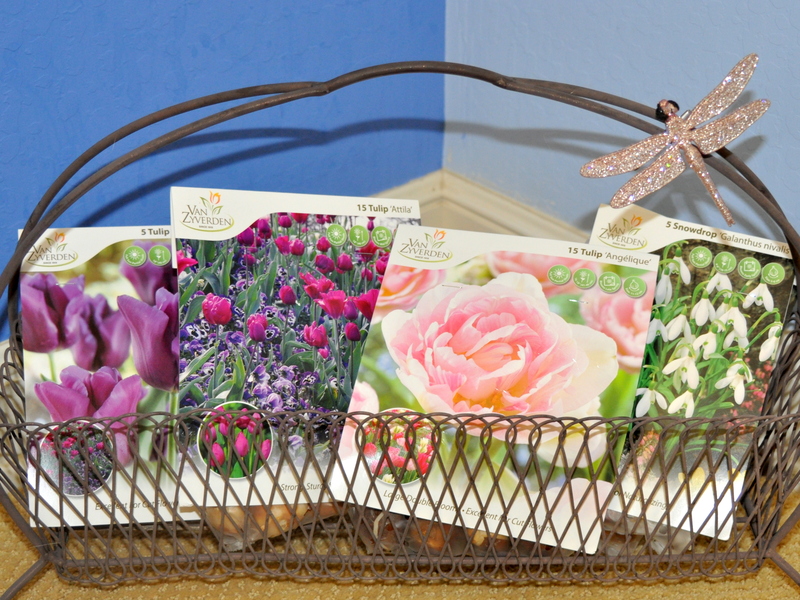 After years of planting assorted bulbs and spring-mix seed packets, it’s fun to see the color assortment burst forth. 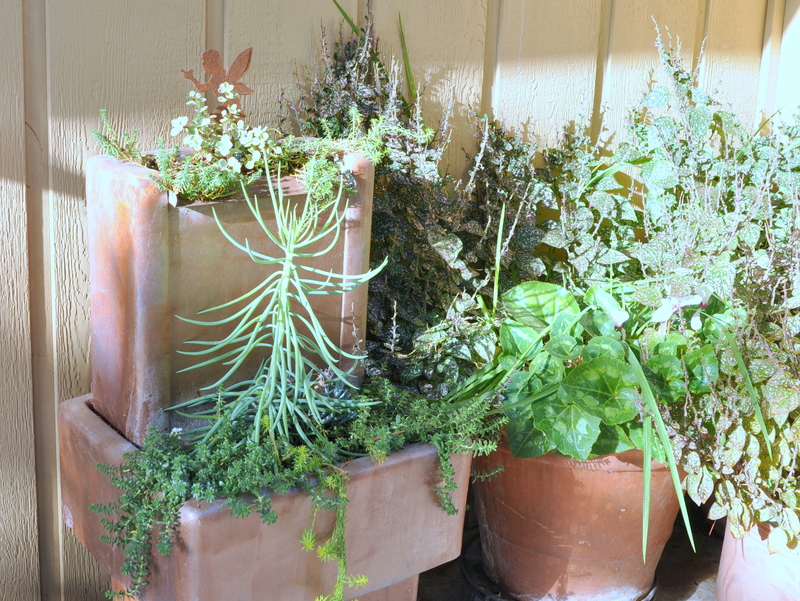 Wrapped around the perennials, and sometimes hiding below, touches of spring color emerge. 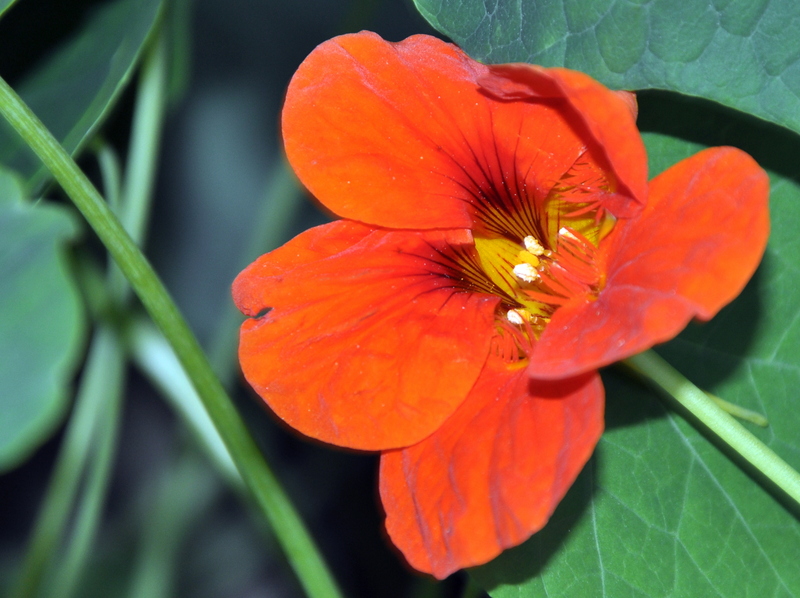 To be fair, many of the weeds are colorful too. You just have to decide what stays and what goes. Different birds are attracted to different colors. Individual bird species may see the “best” colors as indicating a food source. Other birds may be more attracted to the colors of their own plumage as those could indicate a potential mate or another bird that is surviving well. 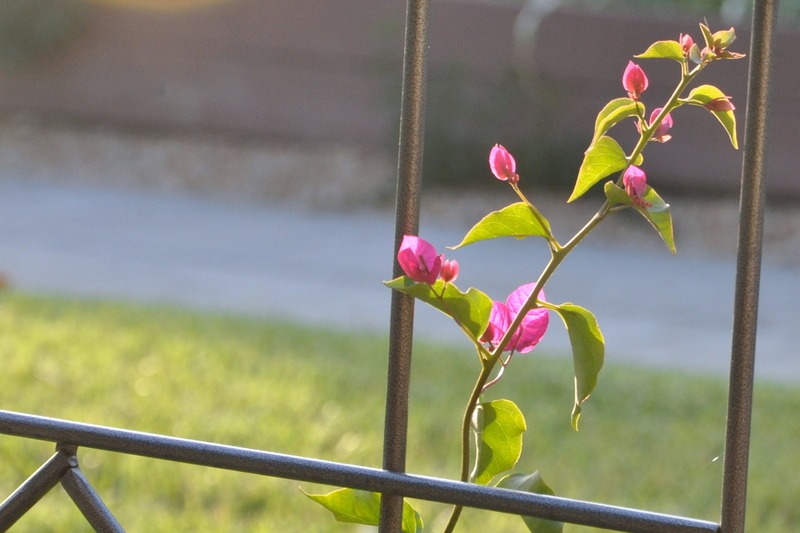 Most bright colors, however, can be used to attract birds, with certain bird species being more attracted to particular shades. Interesting that red, orange and yellow are the first three colors of a primary rainbow. I think nature is on to something, don’t you? Not to be undone green, blue and violent show up every spring as well. They’re the cooler colors, providing a lovely contrast to the heat of the spectrum. Stay tuned for their turn in the garden. The expression “results may vary” always make me laugh. Since the early days of advertising, we’ve been sold a bill of goods. Do you ever find yourself applying these terms to everyday life? Mine would go something like this: I’m going to head out into the world today, knowing full well that results may vary. I’m going to shrug into my one size fits all sweater, which is actually a size large…just in case. Life does not come with guarantees, but if it did, I might be able to get compensation for that big bruise on my shin. (My life’s mantra: slow down, Alys, slow down!) And finally, far from being new and improved I would like to offer up a more accurate slogan: Old and improving. I like the idea of being a better person with the rise of each day, but there is nothing new about the four step maneuver it takes to get out of bed. These same advertising slogans have been rattling around in my head when I’m in the garden. One example: I planted an old packet of broccoli seeds figuring nothing ventured, nothing gained. A small cluster of seedlings sprouted giving me hope. I thinned them to a respectable number and waited for the plants to take off. They’re not dead, but they’re not growing either. The seedlings remain in a suspended animation weeks after planting. Results may vary. 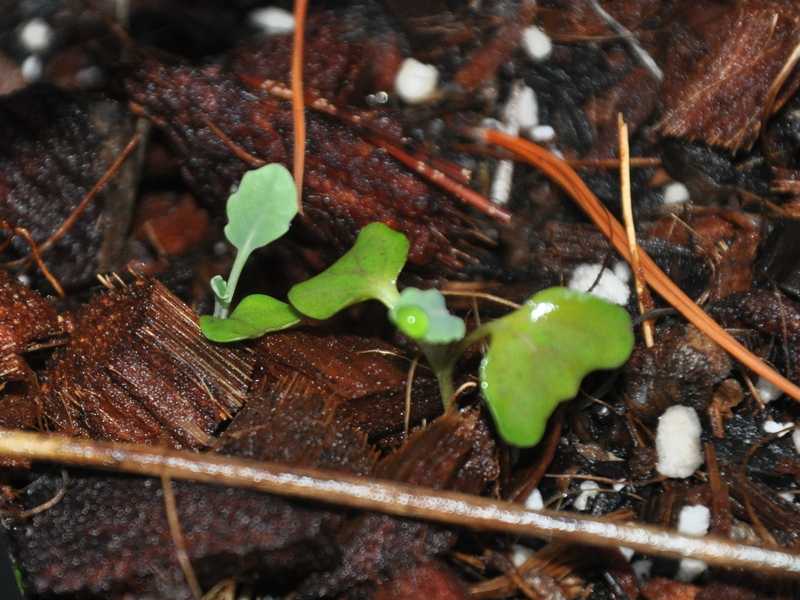 Broccoli Seedlings: Grow baby, grow! 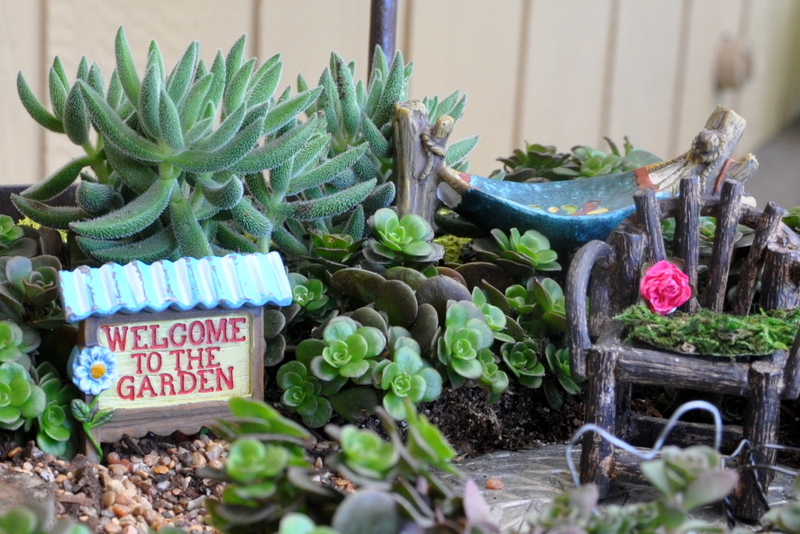 Last summer I planted our fountain with succulents. It’s a long story for another day, but suffice it to say that is one expensive planter. I’m not well versed on the variety of succulents available, and the nurseries provide scant clues. 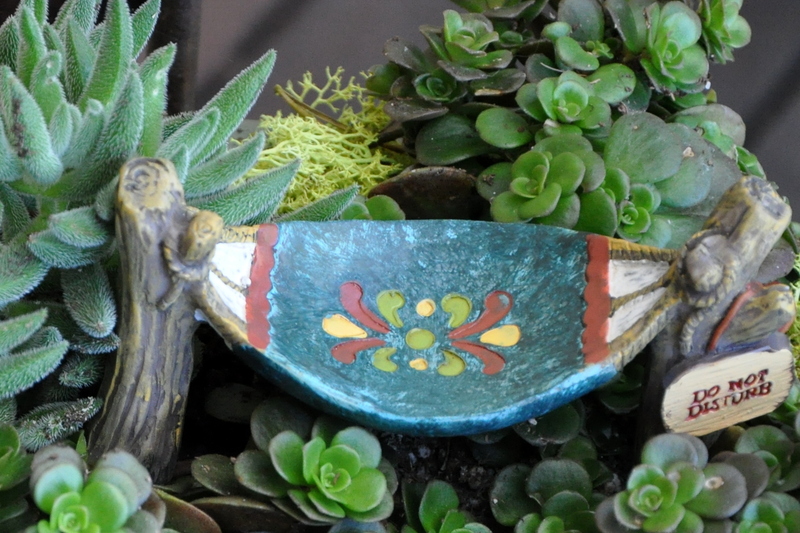 The pot might say “two-inch succulent” or “four-inch succulent” which tells me nothing about growth habits. As you can see from the photo below, it’s not a one size fits all proposition. The plan was to have the center plant gradually grow up, while its companions to the left and right gracefully trailed over the edges. Nature is as nature does. As for “guaranteed results or your money back”, I’m pretty sure there is a disclaimer for acts of god or nature. 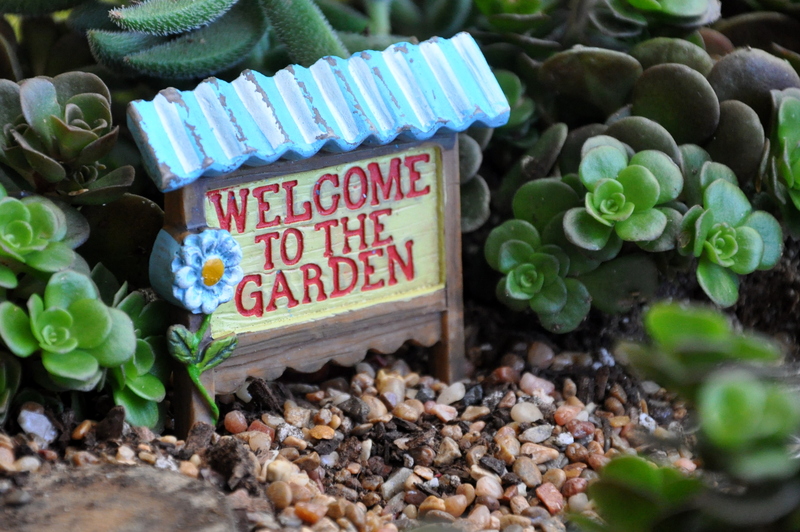 There are no guarantees when it comes to gardening. You can plant a seed, water it, and hope that it grows. Have you seen those seed packets? Those plants are amazing! I’ll buy a hundred, and grow produce for the entire neighborhood. I’ll have vases of gorgeous, fresh flowers scattered throughout the house. It’s guaranteed! Darwin knew what he was talking about. It’s all about survival of the fittest. I plant seeds, and they refuse to grow. I plant bulbs, and the squirrels dig them up and either eat them or toss them on the deck. 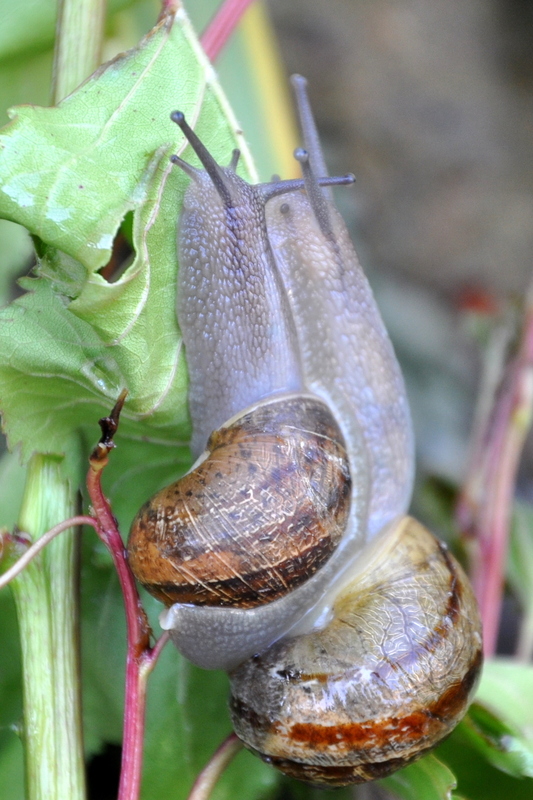 Seedlings pop through the soil but then snails eat them in the dead of night. 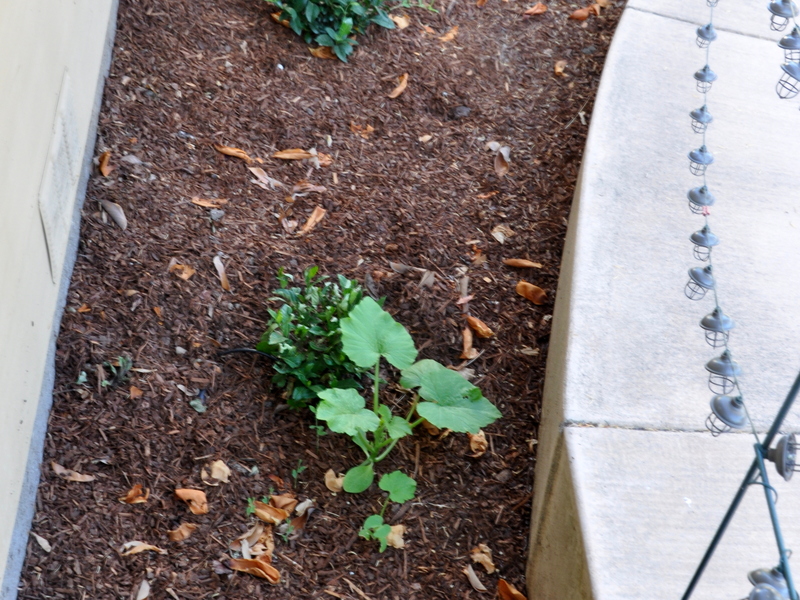 Plants that overcome these obstacles, must contend with birds, squirrels, rats, drought, stink bugs, fungus, scale and sometimes this careless gardener who forgets to water a dried out pot. Guaranteed! Finally, new and improved might mean pesticide-laden seeds. 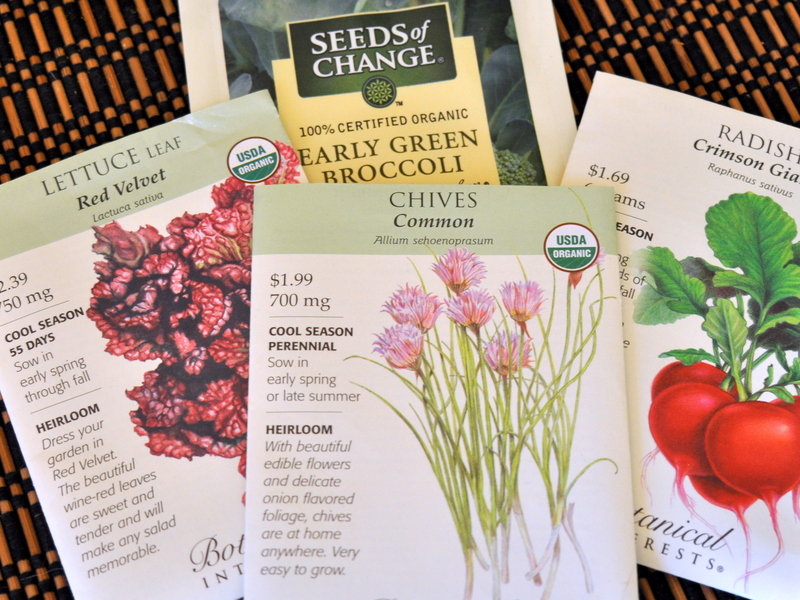 I like to garden old school: heirloom plants and seeds in a pesticide-free garden. As I mentioned earlier, old and improving. Beautiful Illustrations of hope and promise…guaranteed! And that, my friends, brings me back full circle. Results may vary. Sometimes that’s a wonderful thing. My entire front garden self-seeded once again, with Nigella, California Poppies, Cornflowers and Sweet Peas. They seem impervious to the recent frost. They’re lush and green, planted by nature, watered by recent storms and back by popular demand. Now that’s a slogan to celebrate. If you were running an ad campaign for your daily life, what would you say? 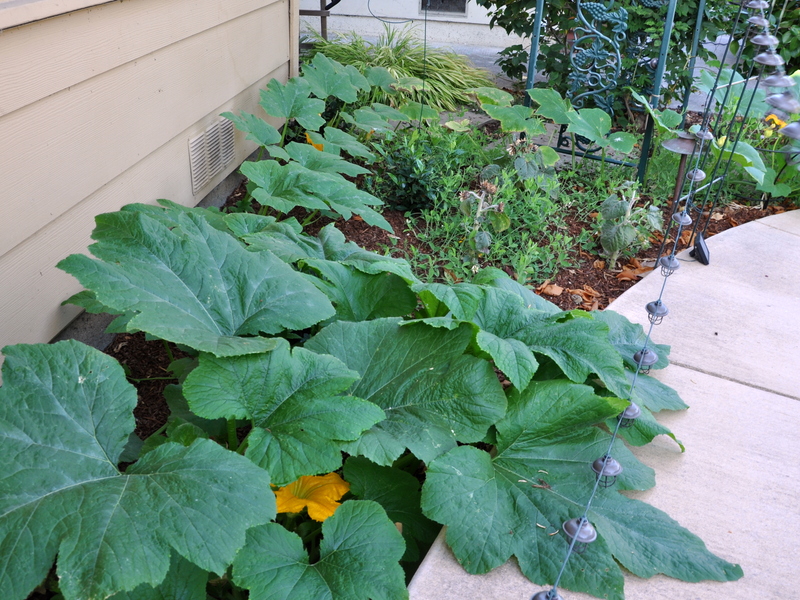 After my squash bug infestation a few years ago, and a follow on year resembling squash bug Armageddon, I stopped planting pumpkins for a few years. With little rain over a four-year period, those pumpkin-sucking bugs easily over-wintered and destroyed my meager crop. Twice. 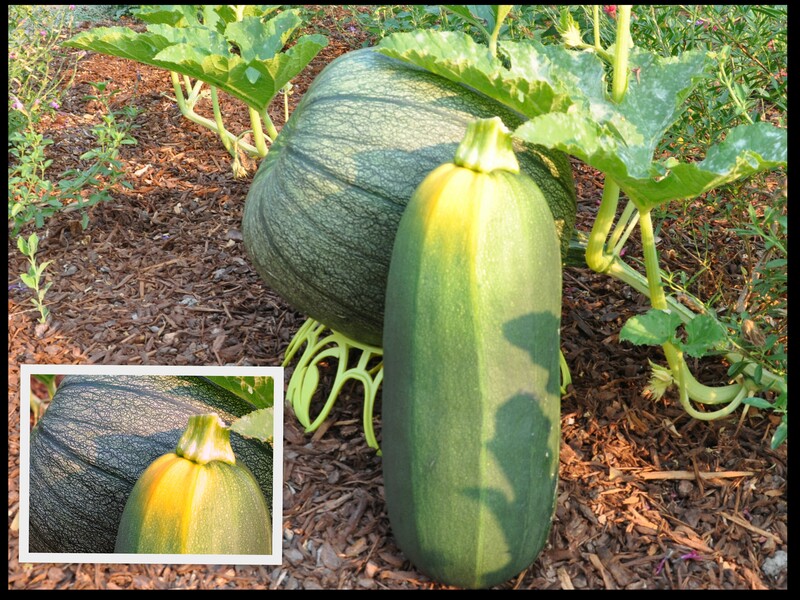 Last summer, something amazing happened: one noble pumpkin grew in the middle of my former lawn. 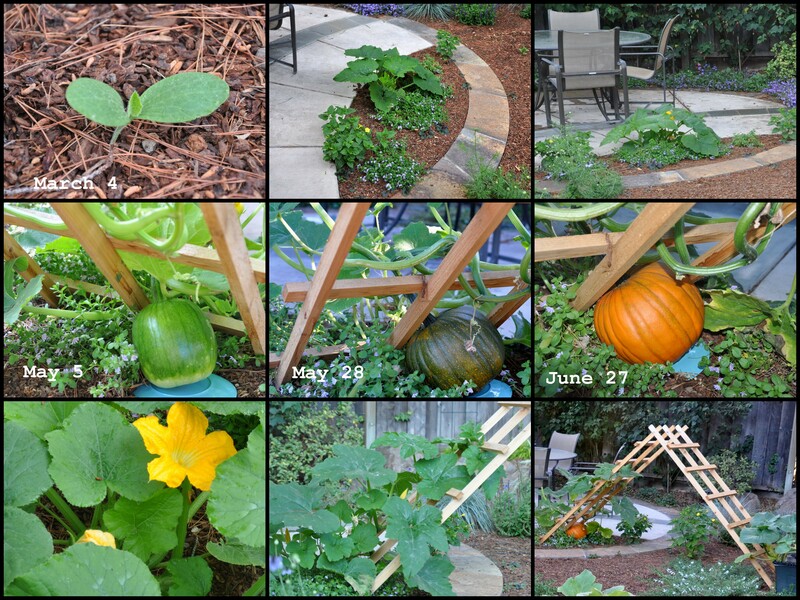 Without any water and not a squash bug in sight, the plant served up a perfectly formed and cherished pumpkin. 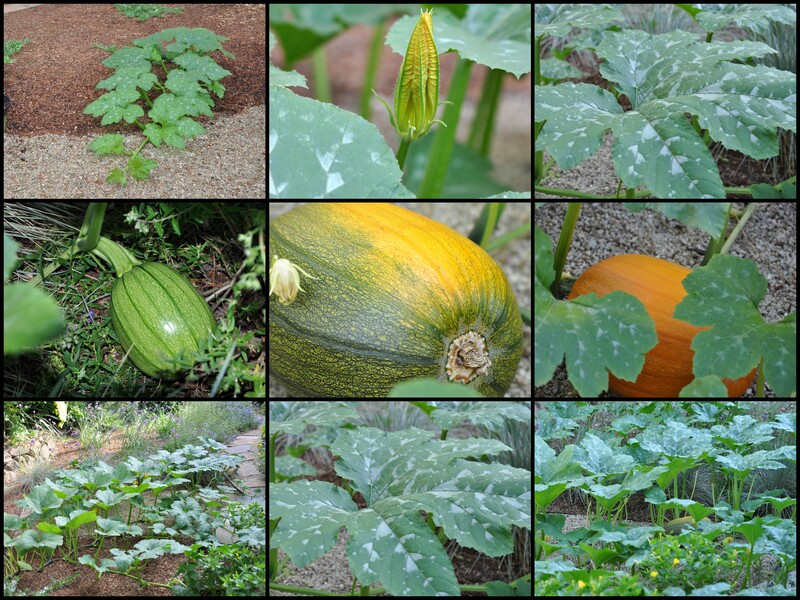 I’ve since learned that pumpkin plants can survive on morning dew, taking in the moisture through their straw-like stems and delivering it to the root of the plant. Color me impressed! This year we had our first season of near-average rainfall. 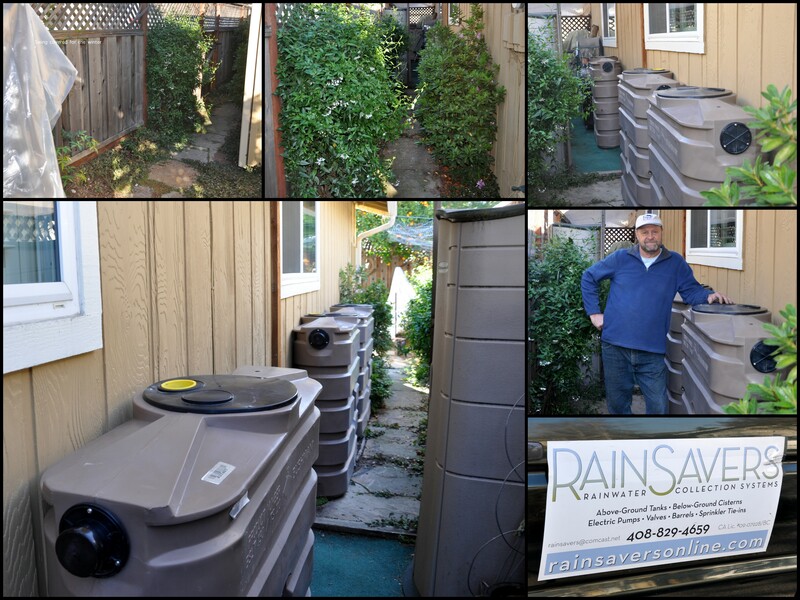 We also installed a rain water catchment system. I took the plunge and bought a package of seeds. I prepared one of my Earth Boxes and waited for the temperatures to rise. The packet directions said to plant once night-time temperatures were consistently above 50 degrees F (10C) which for San Jose is usually May. Meanwhile, seeds planted last fall by our neighborhood squirrels took root. 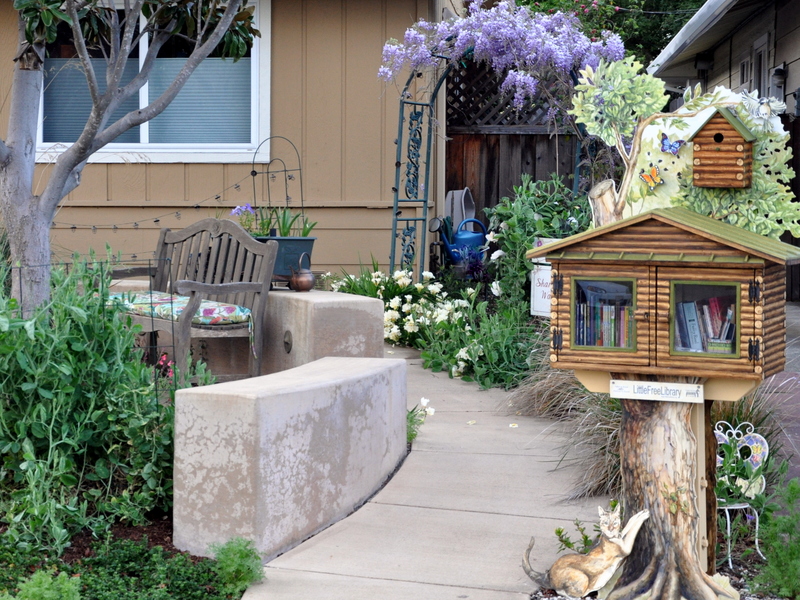 They found a home near the patio in the newly planted, drought-tolerant garden. I let them grow of course, but figured the cold nights that followed would dash our hopes. As the temperatures rose and I planted my own seeds, the squirrel’s garden happily meandered along, pest-free and robust. 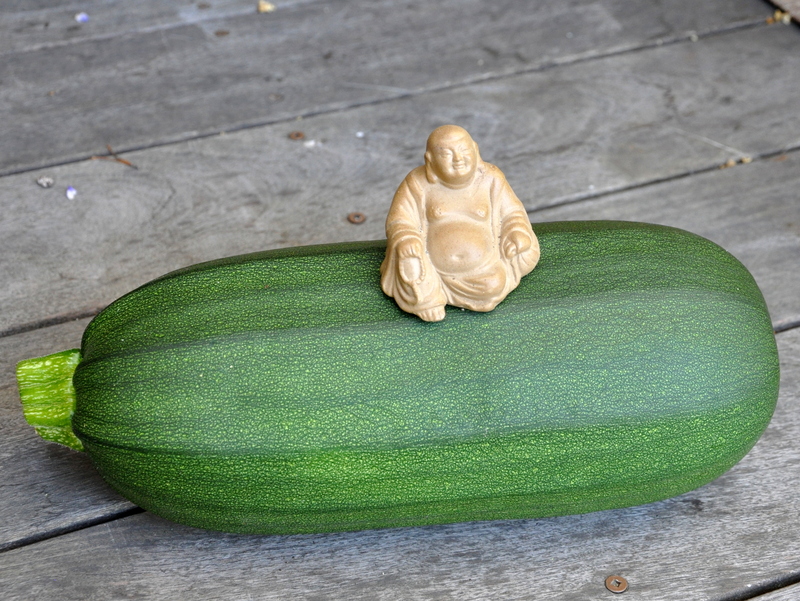 One plant stayed small, and produced a single, perfectly formed round pumpkin. It started out dark in color, almost a pine green, before turning a lovely orange. The sister plant took off across the garden, racing toward the swing and sending out runners in both directions. The second pumpkin plant produced four tall pumpkins before the vine started dying back. We were eager to harvest them before the squirrels stopped by for lunch. We put them in our garage to let the stems dry for a few days, then brought them into the house. Typically we wouldn’t be harvesting until September. As I ready for my trip to Canada on Monday, I’ll leave it to my son to harvest the last three pumpkins. He’s looking forward to it. Meanwhile, the tomatoes are flush, producing a delicious crop. 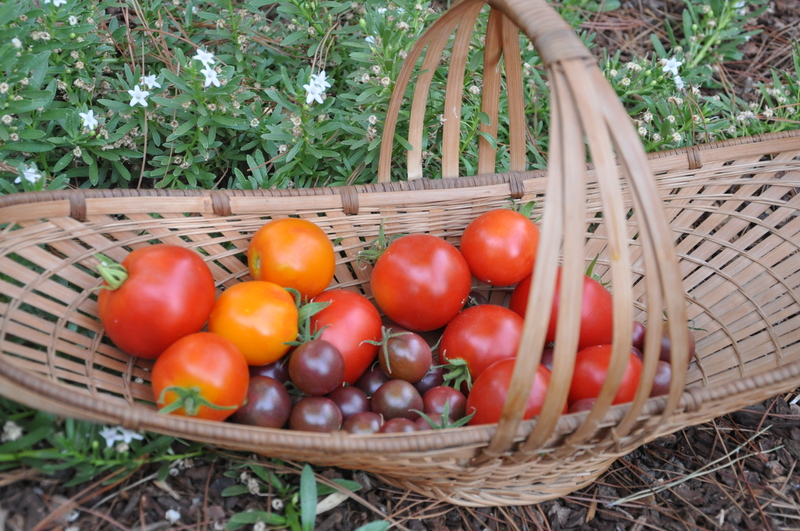 My new favorite is a ‘Black Cherry’, a sweet and juicy heirloom tomato that is melt-in-your mouth delicious. I’m definitely saving seeds for next year. 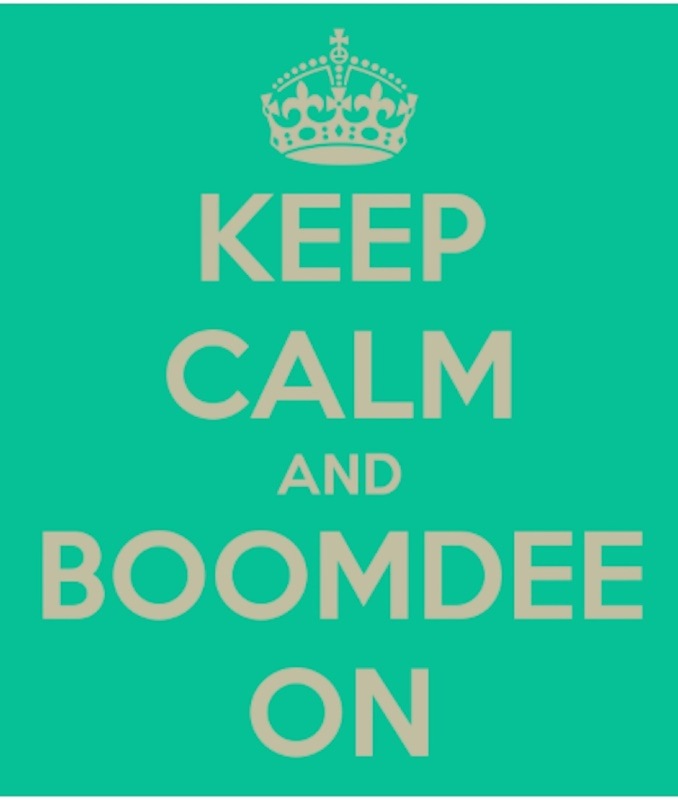 I’m in count-down mode: Edmonton here I come! I’m gradually turning our garden into a more sustainable oasis. Instead of nurturing the English garden of my dreams, I’m letting nature do the talking. I’ve learned a lot from four years of drought. We’re no longer watering our lawn, allowing nature to takes its course. I met with a landscape designer a few weeks ago and he’s putting together a design for native perennials. I’m envisioning a small meadow that attracts native birds and insects. Our back lawn is 370 square feet. If approved we’ll receive a $740 rebate. The front lawn is a bit larger so all told, getting this approval will put a nice dent in the conversion costs. With or without the rebate, we’re going forward with the plans. In addition to converting the lawn into native landscaping, I’m no longer filling pots with annuals. 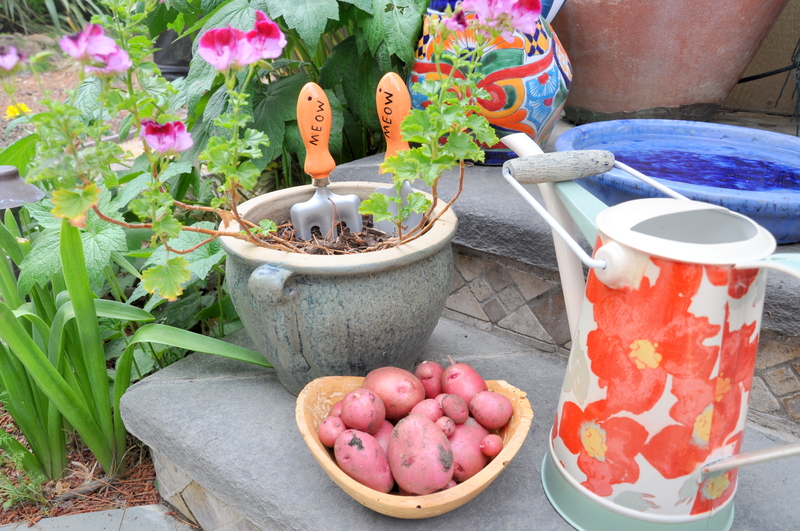 We have three large pots on the deck that receive irrigation from a drip line. 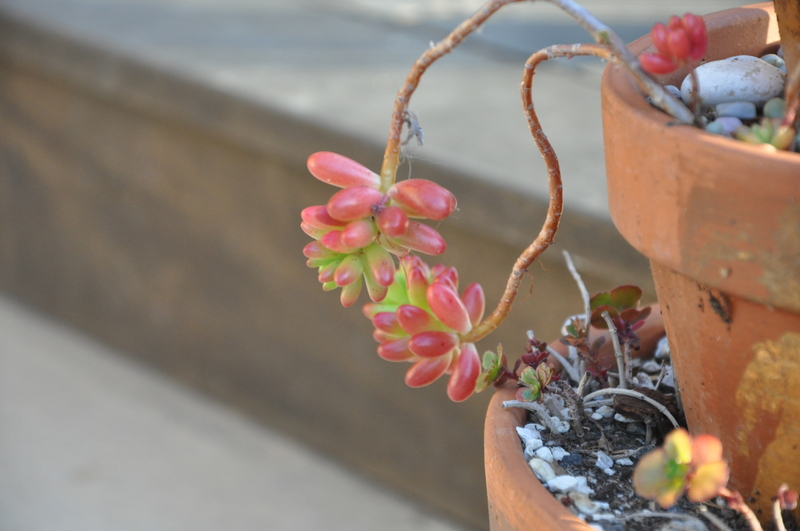 Everything that was hand-watered is gone or replaced with succulents that get by on virtually no water at all. Late yesterday, just before sitting down to write my fairy garden post, I received an out-of-the-blue package from my friend Kristi. Along with her lovely note she sent these charming fairy garden treasures. I wasted no time adding them to the garden. I adore that little sign! I tucked the new hammock among the soft greenery. It’s the perfect napping place and makes me wish I was Thumbelina. Thank you, Kristi! I’m having fun in the garden in between appointments, exercise and carpool duties. Here are a couple of snapshots as I go about my day. There are two steps leading from our back door to the garden patio. They form an L shape, resting against the house and leading to the garden. The steps currently house a potted geranium, my new watering can and a ceramic bowl of water for the cats. I’m energized by all that color. The small fountain that the cats like to drink from is off-limits so that the birds can have a swim unmolested. The fountain is now surrounded by a small wire fence. Staked inside the geranium are a pair of gardening tools, a gift from Talia and Belinda. They spotted them at a cat show and thought of me. Sweet, eh? That small bowl of red potatoes grew in the center of my sheet mulch compost project. I’m looking forward to steaming them later this week. 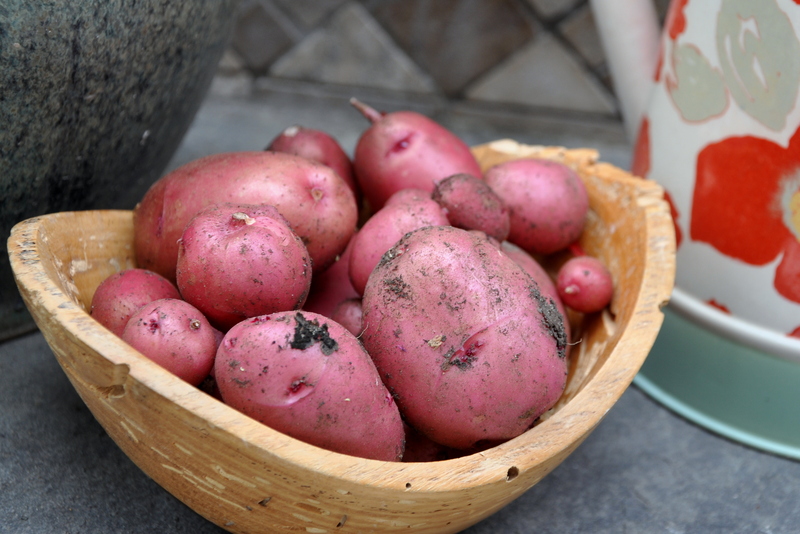 Red potatoes are one of my favorites. 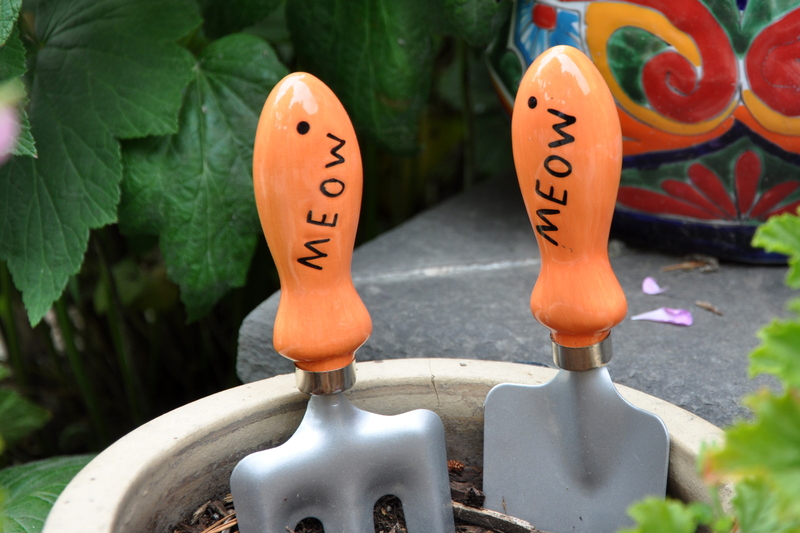 Here is a closeup of my garden fork and spade. Aren’t they cute? I hope you’re living life in the slow lane. I’ll catch up soon.